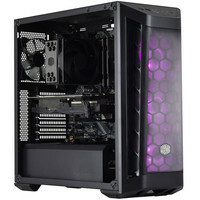 Acheter PC Gamer Top Achat livré en 24H pas cher ! Rev. 3 - Intel Core i3-8100 Quad Core (3.6 GHz) - 8 Go DDR4 - SSD 120 Go - 1 To - GeForce GTX 1060 - Windows 10 + 2000 V-Bucks et pack contre-attaque offerts ! PC Gamer CESIUM (sans OS) + bundle Fortnite offert ! Rev. 3 - Intel Core i3-8100 Quad Core (3.6 GHz) - 8 Go DDR4 - SSD 120 Go - 1 To - GeForce GTX 1060 + 2000 V-Bucks et pack contre-attaque offerts ! Rev. 4 - AMD Ryzen 3 1300X Quad Core (3.5 GHz) - 8 Go DDR4 - SSD 120 Go - 1 To - GeForce GTX 1060 - Windows 10 + 2000 V-Bucks et pack contre-attaque offerts ! PC Gamer LITHIUM (sans OS) - Powered by Asus + bundle Fortnite offert ! Rev. 5 - AMD Ryzen 5 2600X Hexa Core (3.6 GHz) - 16 Go DDR4 - SSD 275 Go - 1 To - GeForce GTX 1070 Ti - Compatible VR + 2000 V-Bucks et pack contre-attaque offerts ! Rev. 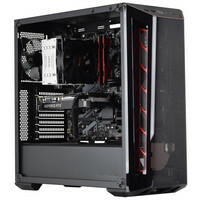 11 - Intel Core i3-8100 Quad Core (3.6 GHz) - 8 Go DDR4 - SSD 120 Go - 1 To - GeForce GTX 1050 Ti - Windows 10 + 2000 V-Bucks et pack contre-attaque offerts ! Rev. 10 - Intel Core i3-8300 Quad Core (3.7 GHz) - 8 Go DDR4 - SSD 120 Go - 1 To - GeForce GTX 1050 Ti - Windows 10 + 2000 V-Bucks et pack contre-attaque offerts ! Rev. 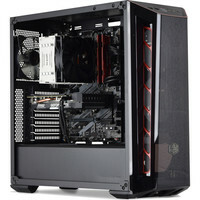 10 - Intel Core i3-8300 Quad Core (3.7 GHz) - 8 Go DDR4 - SSD 120 Go - 1 To - GeForce GTX 1050 Ti - Windows 10 / Clavier Gamer - Rétroéclairage 16.8M de couleurs / Souris Gamer optique - Résolution ajustable jusqu'à 6000 dpi - 6 boutons + 2000 V-Bucks et pack contre-attaque offerts ! Rev. 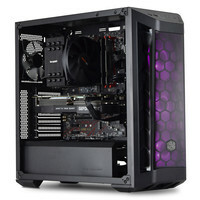 10 - Intel Core i3-8300 Quad Core (3.7 GHz) - 8 Go DDR4 - SSD 120 Go - 1 To - GeForce GTX 1050 Ti -Windows 10 / Moniteur 23.6" LED - Full HD - 1 ms + 2000 V-Bucks et pack contre-attaque offerts ! PC Gamer MOBA 2 (sans OS) + bundle Fortnite offert ! Rev. 11 - Intel Core i3-8100 Quad Core (3.6 GHz) - 8 Go DDR4 - SSD 120 Go - 1 To - GeForce GTX 1050 Ti + 2000 V-Bucks et pack contre-attaque offerts !